DESICO, a company to issue and trade security tokens, has partnered up with the second business company to carry out Security Token Offering (STO) via DESICO platform. The STO is scheduled for May 9th, 2019, and the issued tokenized securities will be made available to retail investors. 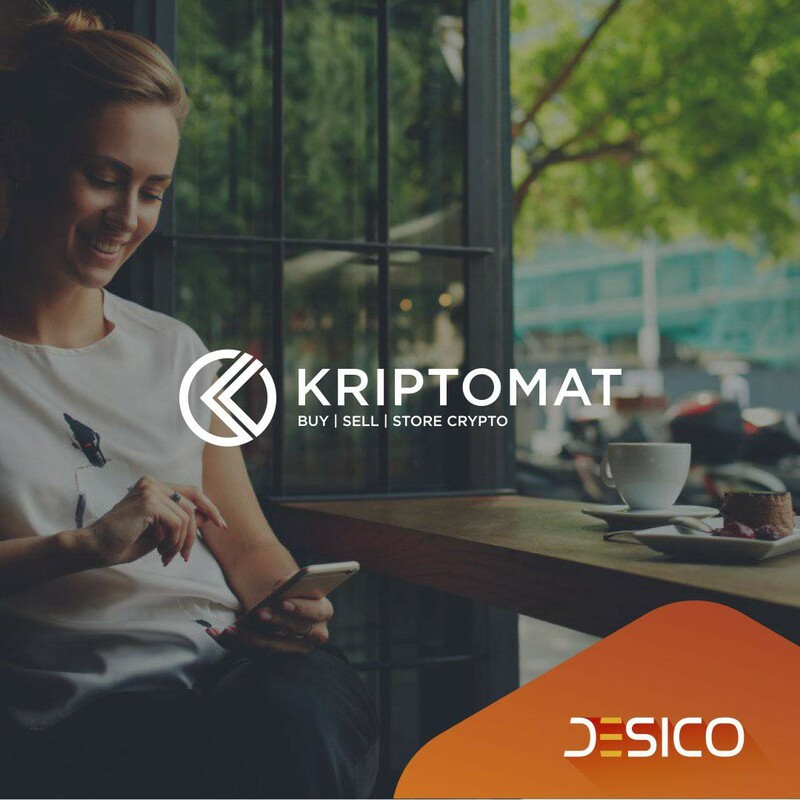 Kriptomat is a fully regulated and secure, user-friendly platform to trade and store cryptocurrencies. The platform provides users with tools to pay for services and goods, and grants access to a variety of peer-to-peer payment systems. The Kriptomat exchange platform allows non-tech-savvy users and crypto beginners to enter the world of cryptocurrencies, giving them a user-friendly interface and secure, regulated environment to ease into the new economy. Kriptomat’s offers highly localised customer support services, available in every country in the European Union and being supported in 24 languages. With its headquarters in Slovenia, Kriptomat is licensed in Estonia and regulated under the EU legislation. The company runs licences to provide services of exchanging a virtual currency against a fiat currency as well as to provide a virtual currency wallet service​. The company is a solid participant of EU distributed ledger technology (DLT) ecosystem that is also a founding member of the International Association for Trusted Blockchain Applications (INATBA), supported by the EU Commission. The core focus of Kriptomat business model lays in engagement of its users. Srdjan Mahmutovic, CEO of KRIPTOMAT strongly believes that crypto will evolve and will fuel the new economy, where everyone is in control of their money and everyone can transfer value between people and devices in real-time, in a way and time they choose. To facilitate the progress, Kriptomat steps in. “We’re making digital currencies extremely easy to use and manage by making it simple to buy and also by giving users a wallet to manage their crypto that resembles and functions exactly like a mobile banking app.” — explains Srdjan Mahmutovic. Driven by the ambitious goal of bringing blockchain and digital currencies into every home, Kriptomat experienced significant growth and wants to accordingly expand and improve its services. The crowdfunding method of STO was chosen to enable its users to also become investors of the company. The CEO of Kriptomat believes, that enabling users to purchase companies digital profit and revenue sharing securities, will spark even bigger motivation of users to help the company succeed. According to DESICO CEO Laimonas Noreika, the business model of Kriptomat platform is a great fit for STO, as users are in a unique position to drive the platform’s growth themselves. The more revenue Kriptomat makes, the more the users stand to gain financially. “We feel this is a fantastic opportunity and perfect match for our technology. Kriptomat is a great product, built by an experienced team with a superb track record and huge ambitions,” says Noreika.